Despite a low turnout, the coffee morning on Tuesday 26th May was a huge success. There was lots of home baking as usual, with the addition of sausage rolls as a savoury option. 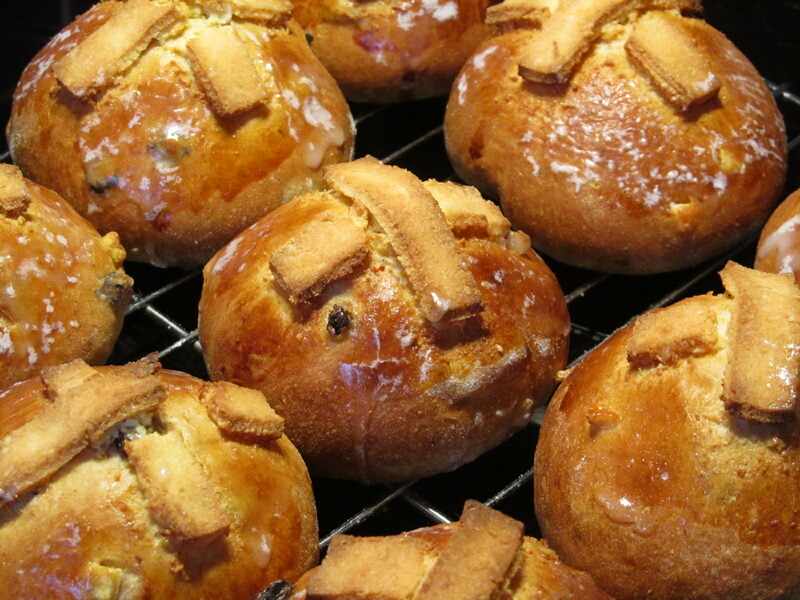 Sue’s hot crossed buns (see article below for recipe) looked amazing and went down well. Graham and Jason, the new residents who have just moved into Bob and Barbara Pitney’s house, came along and were introduced to everyone. They immediately enrolled as members of the FVA and showed great enthusiasm for local activities, as well as wanting to contribute new and exciting ideas. We also had a visit from Jack Kininmonth who, at 90 years of age, had driven over from Aberfeldy. It was good to talk to him and learn about life and bygone times in the village. He enjoyed meeting some of his old friends and told us about the early days of the bowls team and the building of the McLean Hall. As usual Fraser donned his rubber gloves and very kindly did the washing up – which we greatly appreciated.